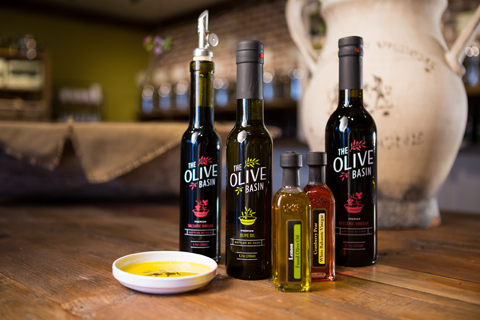 Surprise your guests with our fresh, premium olive oil and vinegar. Choose the top flavors from our oil and vinegar taproom and personalize them to celebrate your special event. Our Event Favor Specialists will walk you through flavor suggestions, pairings, and label design options. Available with customized labels for $5.34 per 60 ml bottle. Order 24 bottles or more and receive a 10% discount on your order. Learn more here or contact an Event Favor Specialist at 1-800-717-6198. Looking for a favor for your next event - wedding, baby shower, retirement, holiday or birthday? Kitchen Kettle mini jars are the perfect choice. We have a few options available to help make your event a sweet success and will try to accommodate your requests the best we can. We offer 1.5 ounce jars filled with delicious flavors of jams and jellies all made by hand in our kitchen. If you order 72 or more jars you receive a 10% discount off the jars. 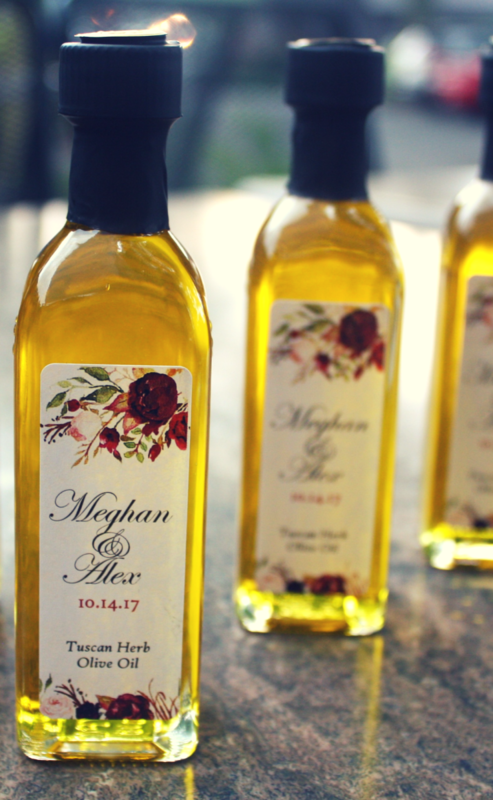 Looking to customize your label? These six flavors are available year-round to be ordered with custom labels or no labels at all. 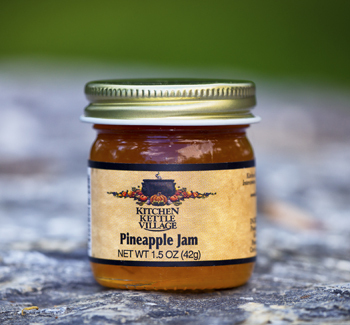 The six flavors listed above can be ordered with customized labels for $1.99 per jar, or unlabeled for $1.59 per jar. Looking to fill your own jars? 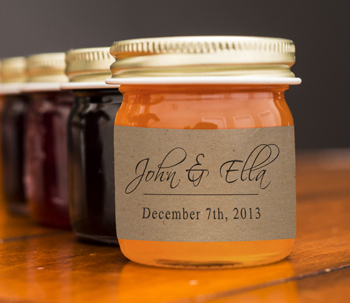 Looking to fill the jars with something other than jam or jelly? Not a problem! We have unlabeled, empty 1.5 ounce jars available, which include the gold lid. Fill them with honey, candies, or whatever you like. Custom labels are available for this option, although we do not place the labels on the jars for you. Shipping is determined by the subtotal of the order along with the distance they will be traveling. If you would like to pick-up your favors, that can be arranged at no extra charge - just give us a call at 1-800-717-6198 to place your order. The entire order process may take up to three weeks when you order flavors that are readily available. This includes processing the order (amount purchased, label design and printing, placement of labels), packing the shipment, and shipment. If you would like a flavor that is not readily available, we may be able to fit them into our canning schedule and make them especially for you. We do require at least three months advance order to accommodate your special order requests. Two day rush shipment is available at an extra cost, but still may include the 2-3 day processing time, depending on the volume of orders we receive at that time. 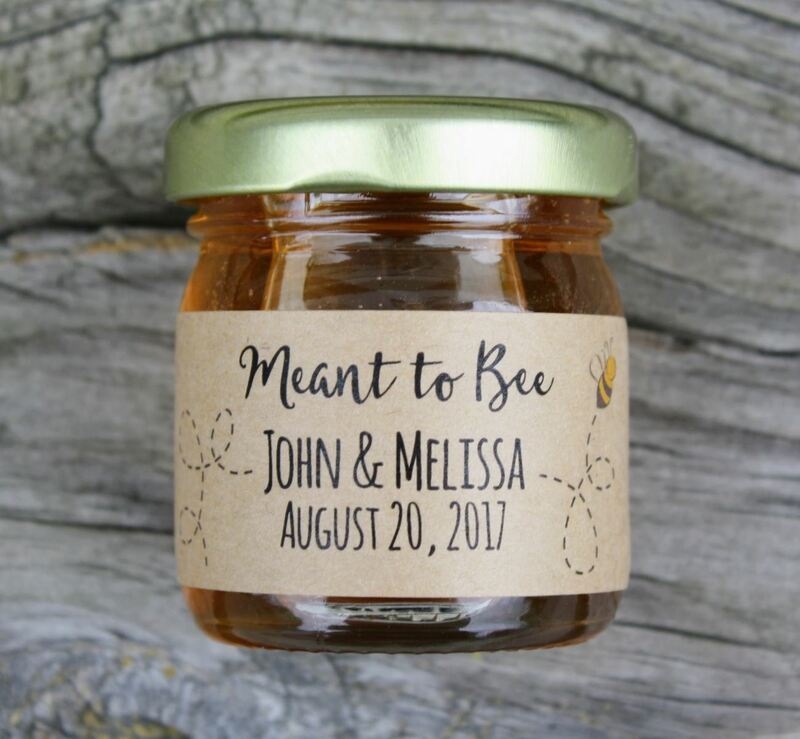 Work with our Event Favor Specialists to create unique personalized labels for your favors! Or, just make it easy and use our standard label. Give us a call to discuss possible options. Contact our Event Favor Specialists at 1-800-717-6198. See how our mini jars can make your next event a sweet success!